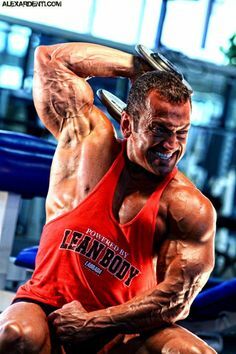 Anybody who has been practicing natural bodybuilding for a while knows the importance that joints have in ones ability to keep training hard. If joints are not operating at their peak, the ability to lift heavy weights and perform certain bodybuilding exercises becomes limited. For instance, for an exercise like the bench press you need healthy shoulders, elbows and wrists. If any of these becomes badly damaged, then there goes your ability to bench press and the quality of your upper body workouts suffers as well. For us bodybuilders there can be several causes for a joint injury. That’s the bad news. The good news however, is that for the most part, we can avoid these by using the right training, nutrition, supplementation and rest/recovery tactics. Excessive use of weight on an exercise coupled with bad lifting technique:In my personal opinion, this is one of the main reasons why so many bodybuilders and fitness enthusiasts end up with injured joints. Consistently using heavy weights and bad form invariably lead to bursitis, which is the inflammation of the bursae; small fluid filled sacks whose job is to reduce friction in the joint. Elbows and shoulders are often afflicted by this condition so all of you bench press kings please pay attention to this, as it is hard to bench with bad shoulders and elbows. Bad lifting technique too also causes tears on the tendons which can lead to tendonitis. Assuming that the lifting technique is really horrible and there is way too much weight being used as well, then this can lead to total misalignment of the joint as well. Muscle strength that increases too quickly: Certain supplements, like creatine and nitric oxide boosters for instance, can cause our muscle strength to skyrocket. 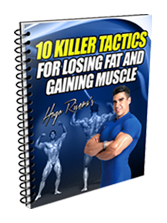 While that is a great thing, in these cases, it is of utmost importance that we slowly control the rate at which we add weight to the exercises. Even if more weight can be put on the bar, it is best to oft for doing more repetitions instead. 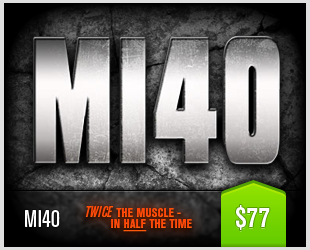 The reason for this is because muscle strength increases much quicker than joint strength. So increasing the training load too soon can easily lead to a joint injury even if the form practiced is impeccable and if the muscles can easily handle the load. This is a situation that is also very often encountered by teenagers as teens’ muscle strength quickly rises due to all the anabolic hormones been produced by the body at that age. Trust me when I say, I am well familiarized with this cause for joint injuries. Lack of proper rest/recovery: Consistently overtraining, lack of periodization (meaning that you always train heavy), and lack of sleep all lead to joint problems. Too much training and/or consistently training at 6 repetitions or less will cause too much trauma in the joint that will accumulate over time and result in either osteoarthritis, bursitis, tendonitis or even a full tear. Keep in mind that if the body cannot recover completely, some of the trauma caused at each training session will remain and over time accumulate. Periodization of training and full body part recovery is essential to preventing this micro trauma from accumulating. Also, lack of sufficient sleep will result in poor recovery as it is during sleep that the body produces all anabolic hormones that will be delivering the nutrients to the right places for full recovery. So sleep deprivation leads to depressed hormonal production which at the end of the day, affects your recovery. Use The Right Training Routine: a well periodized routine that alternates between periods of higher volume/higher repetition (10-15 reps) work with periods of lower repetition/heavier weights (5-8 reps) will work best. Active recovery phases where training volume is dramatically reduced should also be incorporated. The training routine should not be more than 60 minutes long and frequency of body part training will depend upon individual recovery. Generally, teens and those in their twenties can train a bodypart every 48-72 hours (so twice a week). Thirty year olds and those in their fourties benefit more from once every four to five days. Fifty year old and older, once every six to seven days. Use Proper Warm-Ups: warming up is extremely important, and it becomes more important as we age. While in my opinion, we only need to thoroughly warm up for the first exercise of a body part, not doing so puts you at the risk for injury. To properly warm up, if you know you will be doing 225-lbs on the incline bench for 10 repetitions, the first set I would just do 135-lbs for ten controlled slow repetitions. Then I would increase the weight to 185 for ten reps and only after that second set I would go up to 225-lbs and that would be my first work set. However, if working out on a cold climate, besides wearing warm clothing, I may ride a stationary bike first for 6-10 minutes, not in search of aerobic conditioning but with the goal of increasing my core body temperature. Alternatively I’ve also used abdominal training as a way to increase my core body temperature as well. 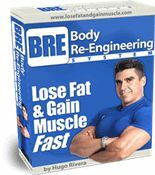 Sufficient Calories Even When Dieting: Many people cut their calories too low when embarking on a fat loss phase. This leads to loss of bone mass and also poor joint health. Therefore, when dieting, keep in mind that only a slight caloric deficit is required in order to lose body fat; in the order of 300 calories less than one burns every day or so. Take Your Multiple Vitamins/Minerals: Many trainees do not realize the importance of taking these micronutrients. However, these are essential to insure that your body will operate at maximum efficiency. Vitamins are organic compounds (produced by both animals and vegetables) whose function is to enhance the actions of proteins that cause chemical reactions such as muscle building, fat burning and energy production. Minerals are inorganic compounds (not produced by either animals or vegetables). Their main function is to make sure that your brain receives the correct signals from the body, balance of fluids, muscular contractions and energy production as well as for the building of muscle and bones. Therefore, on a very simplistic level, without vitamins and minerals it is impossible to covert the food that we eat into hormones, tissues and energy. So as a result, joint health, amongst many other things, will suffer. Take Extra Vitamin C: Some research indicates that increased consumption of Vitamin C lowers cortisol (catabolic hormone) levels and improves joint health as Vitamin C is required for connective tissue formation. 2-3 grams of this vitamin split in 1 gram doses at different times of the day will do the trick. Gelatin: Believe it or not, gelatin is a source of two very important amino acids that are required for collagen formation: glycine and praline. Several studies (Adem et. al. Therapiewoche, 1991) have shown gelatin providing improvements by reducing joint pain and improving cartilage health. MSM: At the Oregon Health Sciences Center in 1997, researchers showed that MSM provided relief equal to a popular non steroidal anti-inflammatory drug. MSM expert and medical reviewer for the Journal of the American Medical Association (JAMA), Stanley W. Jacob, M.D., suggests that MSM actually blocks pain signals from traveling along a network of C fibers from the site of damaged tissue to the brain. 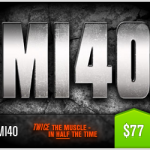 MSM also appears to reduce inflammation, enhance blood flow, and reduce painful muscle spasms. Essential Fats: As stated on the nutrition tips, if you do not consume wild atlantic salmon or mackerel, it is suggested then that you supplement your diet with 1-2 tablespoons of fish oils and/or flaxseed oil in order to get the very important essential fatty acids that your body needs. 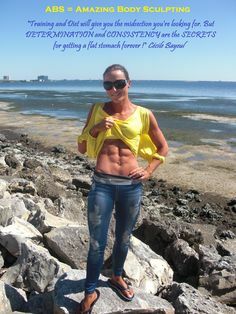 Carlson fish oils and spectrum flaxseed oil are great products to get these fats from. Another great product to get your EFAs from is Labrada Nutrition’s EFA Lean Capsules. 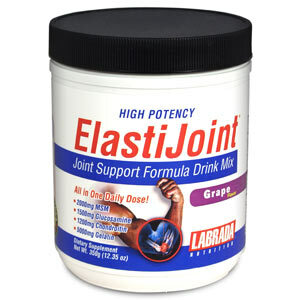 Note: A good and convenient product that contains Vitamin C, Gelatin, Glucosamin, Chondroitin and MSM at the right dosages in a good tasting drink is called ElastiJoint® by Labrada Nutrition. As mentioned in the training guidelines, periodization and the right amount of time before training a body part again are of utmost importance to joint health and recuperation. Overtraining leads to overuse injuries. Sleep deprivation leads to depressed hormonal production which at the end of the day affects your recovery and prevents full recuperation from training. So make sure that you get your ZZZZZsss. For those of you starting out in your teens just like I did, please start following the advice presented in this article. While it does not seem important, any joint injuries at that age will remain with you for the rest of your life and any little thing that you do will aggravate them as you get older. In addition, because your strength will increase at an incredible accelerated rate at this age, be sure to increase repetitions before deciding to increase the weight on an exercise in order to protect your joints. Keep in mind that your muscles will always grow quicker than your joints. And one last tip about shoulder health. Did you know that the shoulder complex is the #1 injured area of the body for people who train with weights? Whether you currently have shoulder discomfort or you just want to make sure you’re not at a risk, you should check out this quick quiz right now. 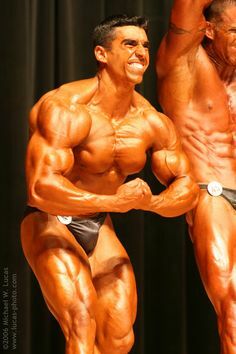 Thanks Hugo, for posting a very informative and concise article on a topic that is not discussed much in bodybuilding circles. Appreciate it! Hi Hugo,this is undoubtedly a good article,but there is a slight misunderstanding of my side.You say that the younger the organism,the quicker the recovery,true,but in your body re-engineering cycling you reckomend 6 training sesions weekly.What about if a 47 1/2 years old avid bodybuilder is eager to try it out and execute it as per your guidance. Great words. I have lifted weights for 51 years so I know the wisdom contained in this article. Your joints are what will eventually limit your exercise with weights. Periodized workouts help as does good form and a good diet. At some point we all need to back off a bit and avoid the extremes of both heavy weight and high volume training.That dosen’t mean that we can’t get in a good hard workout, just that we don’t over do it and allow plenty of recovery time. Some really great tips. Our joints can take a hell of a beating and I’m always looking for new things to help with that.